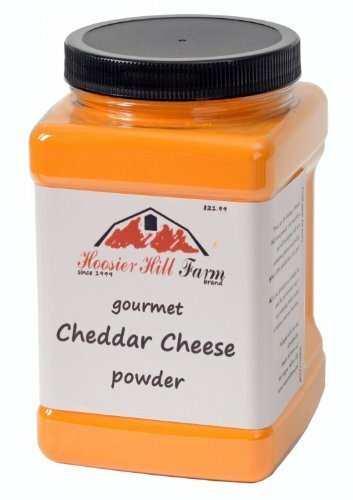 Our best selling cheese powder is perfect for sprinkling on popcorn, pretzels or any snack you desire. Cheddar Cheese powder will add the delicious taste of cheddar to your snacks. Same as our regular cheddar powder - only 250% x bigger! Hoosier Hill Farm brand - 100% satisfaction is guaranteed.